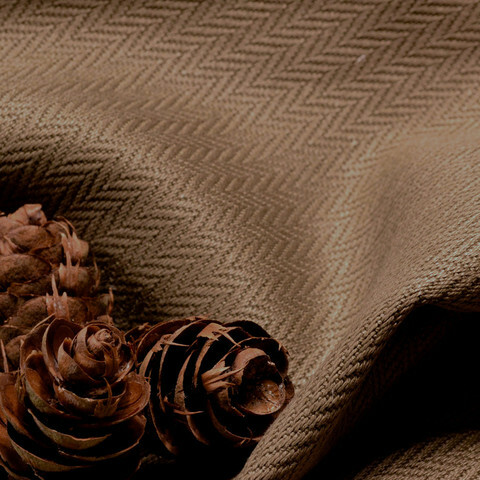 Rhodes weaves tightly spun organic linen and organic cotton yarns into a refined and classic herringbone pattern. Its smooth hand coupled with a hefty weight adds to its strength and durability of 25K Wyzenbeek Double-Rubs. And with Global Organic Textile Standard (GOTS) certification, Rhodes feels great to have both in your home and against your skin. 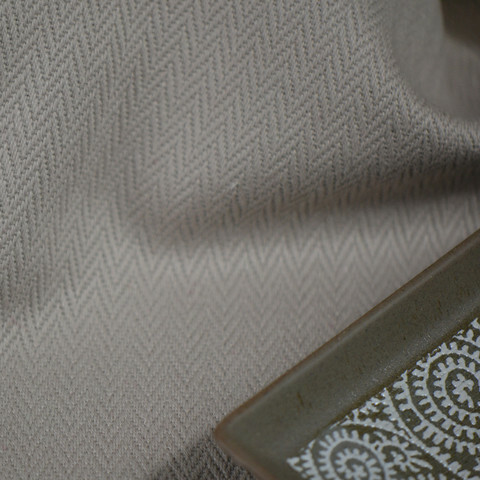 If you expect machine washing slipcovers to be part of your care for your EcoBalanza piece, Rhodes fabric is washable in all temperatures -though we recommend cool water and line drying to minimize wear and to save on resources. With only 2% shrinkage from washing, Rhodes is considered pre-shrunk. Similar to the first wear of your clean jeans, the fibers will easily stretch back to their former size. For fabric attached to the frame of your EcoBalanza piece, we recommend occasional vacumming (preferably with an upholstery attachment) to keep your upholstery looking its best over time. Dirt and dust contribute to the breakdown of natural fibers, so this simple step can extend the life of your fabric considerably. Click on the images below for a better look and let us know which colorways you are considering for your piece. CARBON FOOTPRINT: A GOTS certified fabric is the best choice if you're concerned about carbon footprint issues - even though the GOTS standard does not directly address carbon footprint. Click HERE for a discussion on that topic by our friends at Two Sisters Ecotextiles. WORKER SAFETY AND WORKER RIGHTS: GOTS assures safe and hygienic working conditions and fair wages for workers in the mills. Child and slave labor are prohibited.